What are the implications of the last two lines of code (decrementing stack pointer and base pointer)? What are the lines of code doing from a higher level perpective? - Eg "Takes an input and outputs a string"
What are some Linux commands (that come with distros) that decompile assembly code? - I have only found downloadable software suggestions thus far. What are some Linux commands (that come with distros) that decompile assembly code? There are none. You can see this for yourself if you look at the functionality provided by tools in the GNU binutils collection. 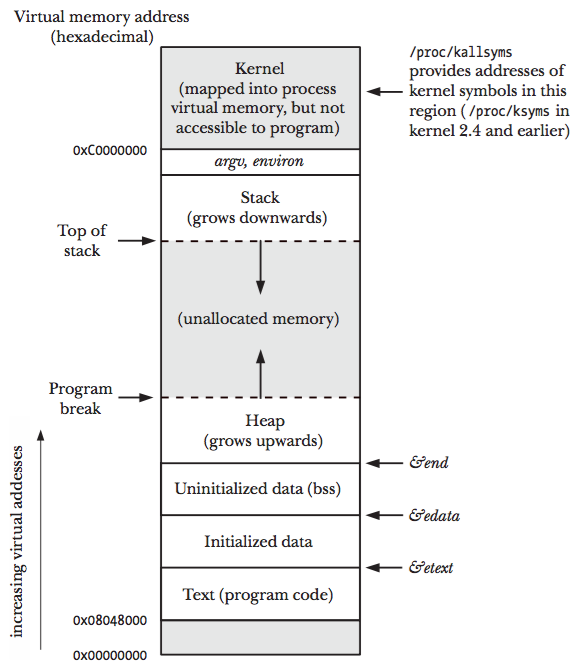 On System V i386 systems %esp and %ebp are used by the compiler to manage stack frames on the runtime stack (it is the compiler that transforms source code into assembly). 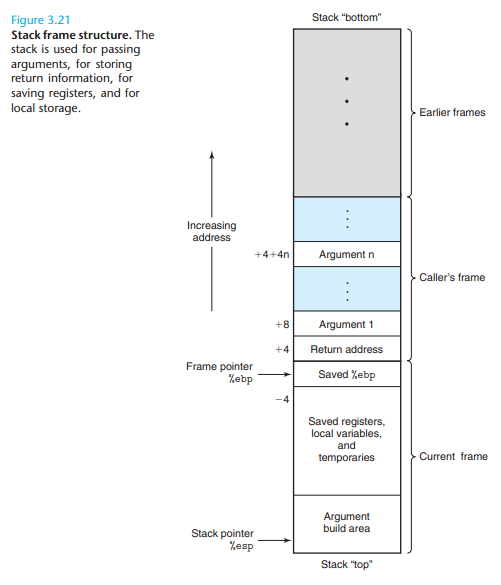 Stack frames are created on the runtime stack when functions are called. The stack pointer holds the limit of the current stack frame, which is the address of the stack’s bottom-most, valid word. At all times, the stack pointer should point to a word-aligned area. The code that you have provided is not from a called function, so no stack frame would be created for this code. In other words, no function calls means no stack frame creation. This code would be mapped from an executable ELF binary's .text section to the text segment in virtual memory when executed and its process image is created. This means that in the context of the code you have provided, the statements dec %sp and dec %bp are of no consequence since there are no function calls and no stack frames to be managed. There is not much going on here. xor $0x20, (%eax) is an example of indirect addressing, where the value in %eax is treated as a memory address and whatever is at that address is xor'ed with the integer value 32. dec (%edi) results in the value in %edi being treated as a memory address, and whatever is at that address has 1 subtracted from it. The other statements are just arithmetic performed on values in CPU registers. I am not sure how this sequence of computations would be represented in a high level language. The best thing you could do for yourself is learn how to create some basic functional assembly code and step through the code with a debugger like gdb using the stepi and info registers commands. This will allow you to see for yourself what happens as a result of each statement. It will also speed up the learning process and deepen your understanding of assembly and virtual memory. Not the answer you're looking for? Browse other questions tagged assembly decompilation linux binary or ask your own question.